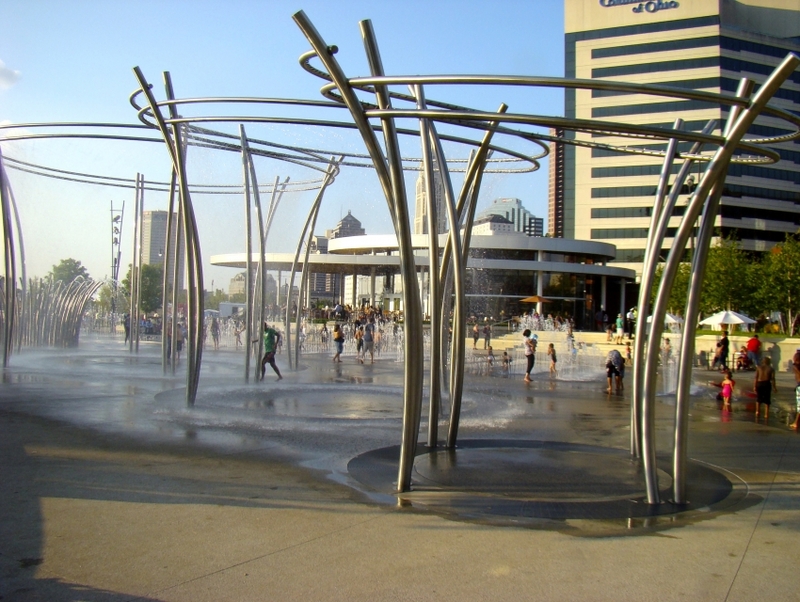 Scioto Mile Park is an urban paradise located in the heart of downtown Columbus. Beautiful fountains provide a relaxing atmosphere and seating throughout the park allows visitors to stop and rest for a little while. The view of the city is uniquely beautiful and the atmosphere is perfect for a romantic stroll or a family picnic.